Tropical and subtropical forests, secondary growth, and forest edge to mangroves, open woodlands, and even urban environs are the habitat of drongos, according to species. Some, such as the New Guinean pygmy drongo, the African shining drongo (D. atripennis), and Sulawesi drongo (D. mon-tanus) are confined to primary rainforest; but others, notably the widespread Asian black drongo, occupy towns, gardens, and open areas, and are a familiar sight perched on electric lines. Where different species occur together, they co-exist by occupying different habitats. 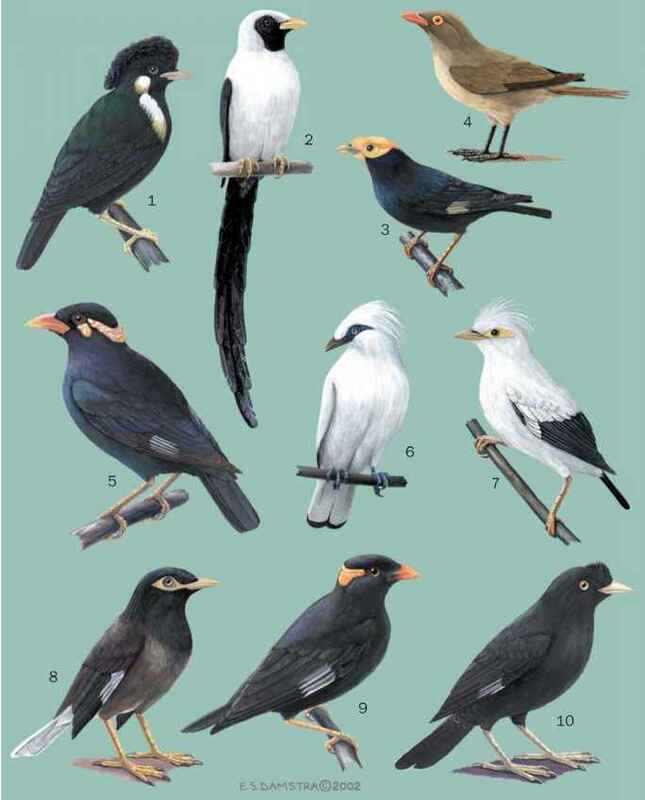 Thus in Southeast Asia, the black, ashy, and greater racket-tailed (D. paradiseus) drongos live in more open woods, urban areas, and marshes, while the bronzed (D. aeneus), lesser racket-tailed (D. remifer), and hair-crested drongos keep to denser forests, often replacing one another altitudinally. In Africa, square-tailed (D. ludwigii), velvet-mantled (D. modestus), and shining (D. atripennis) drongos replace one another in different strata in different structural habitats. Wherever they occur, both resident and migratory populations are well dispersed at densities of about 5-40 birds per mi2, depending on productivity and connectivity of habitat.